The job of a security guard is extremely demanding and tough. Naturally, only the people who are most suited for the job are selected for it. 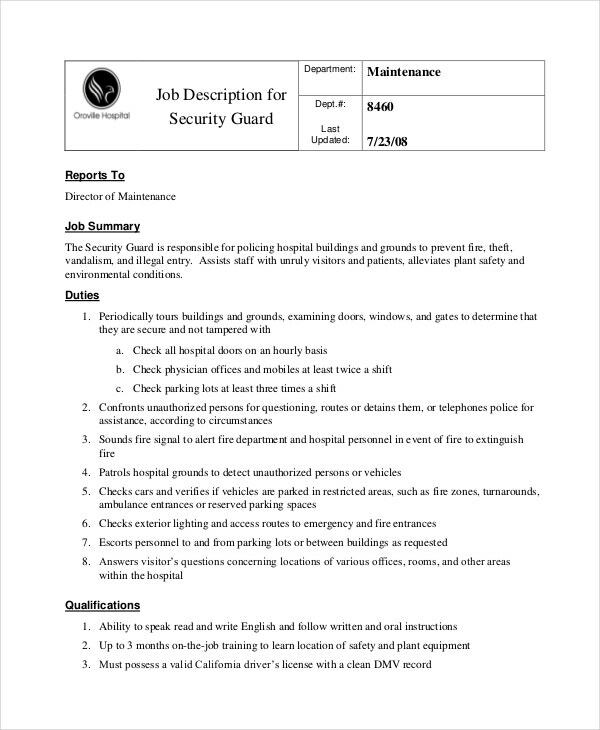 If you have an opening for the post of a security guard and need to advertise it, you need to take a look at these security guard job description templates. They are sure to come in handy and also save you a whole lot of time and energy. You may also see job description samples. 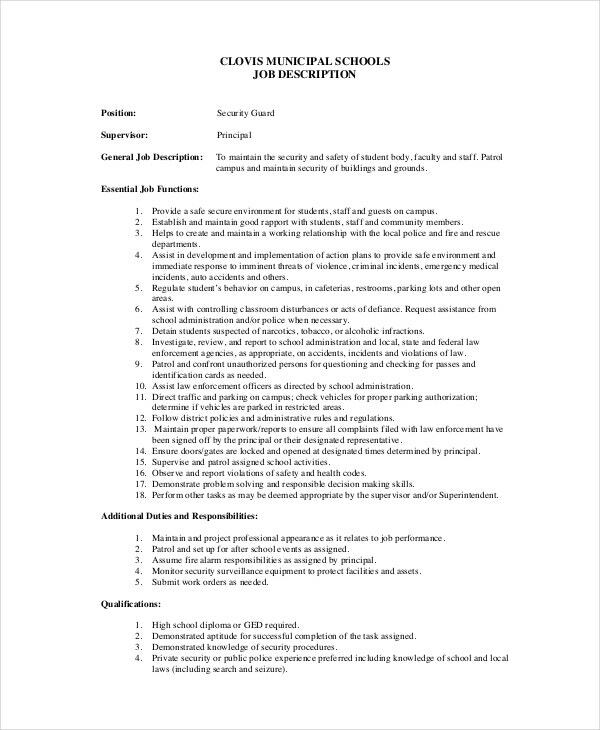 This job description template is directed at those who are interested in applying for the post of a security guard at the school. It has been specially designed for this purpose. Restaurants too require security guards. 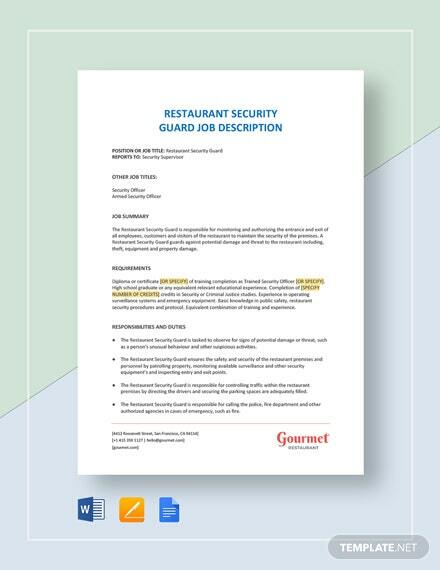 If you have a vacancy at your restaurant, you can use the security guard job description template provided here. Plus, it is very easy to use. You can also see Security Contract Templates. 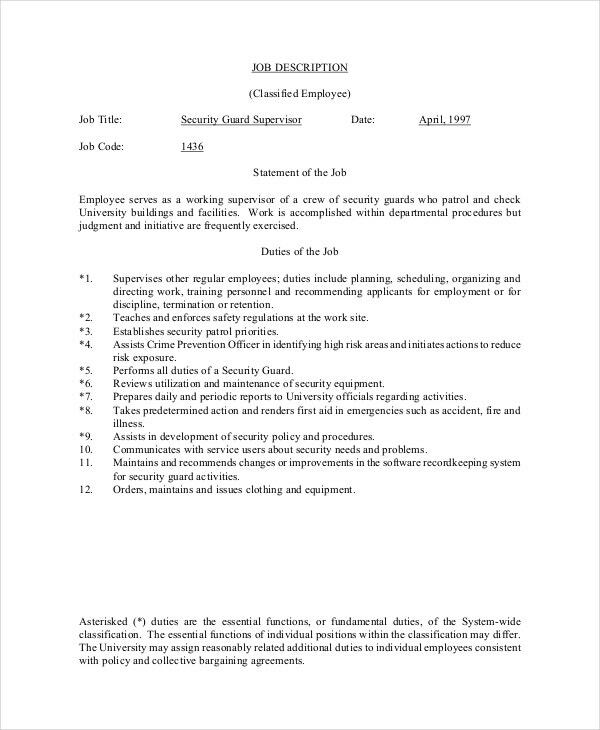 A security guard supervisor is in charge of the entire operations. 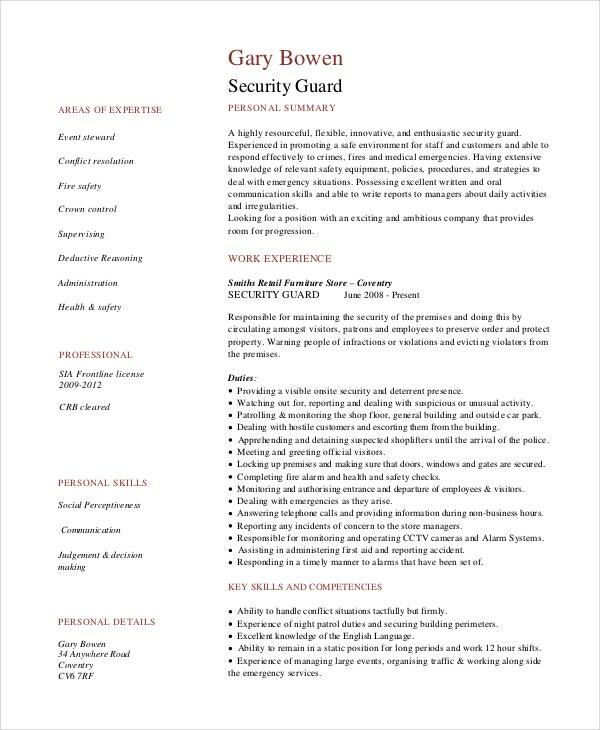 To advertise such an important post, you could take a look at this security officer job description template. 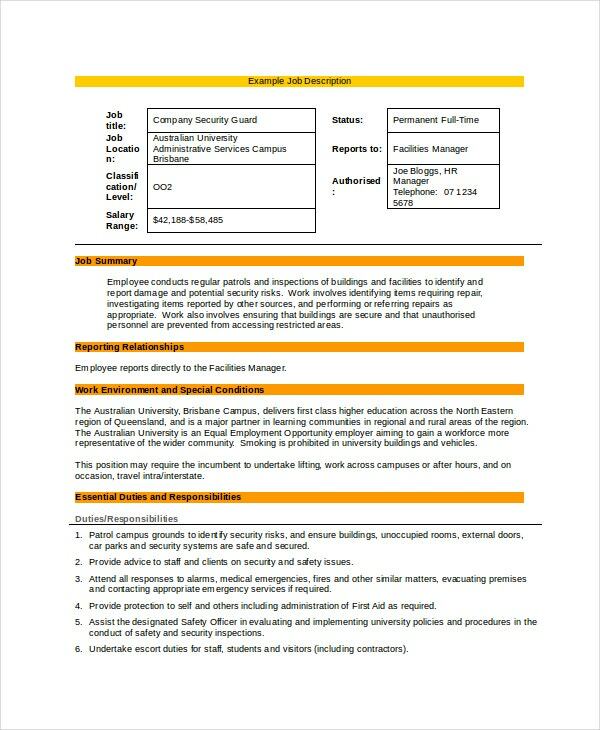 You can also see Store Manager Job Description Templates. 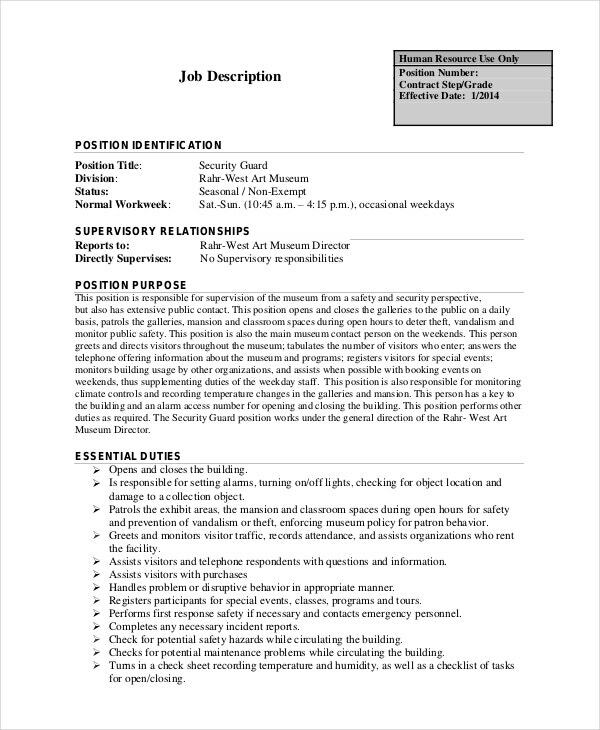 This security guard job description template is directed at those interested in working at a hospital. The job description itself is pretty attractive and would attract the right candidates. You must have a rough draft ready with you. 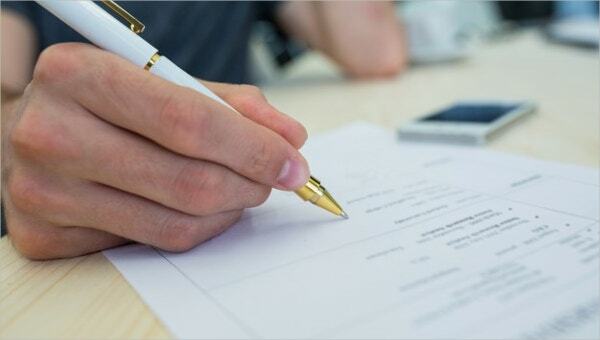 In the rough draft, make a list of things you must include in the job description. It should be carefully planned and presented. Once you are sure, you can move on to the final copy. Check and recheck your facts before you print the job description. There should not be any mistake in it. Even an insignificant error can defeat the whole purpose. 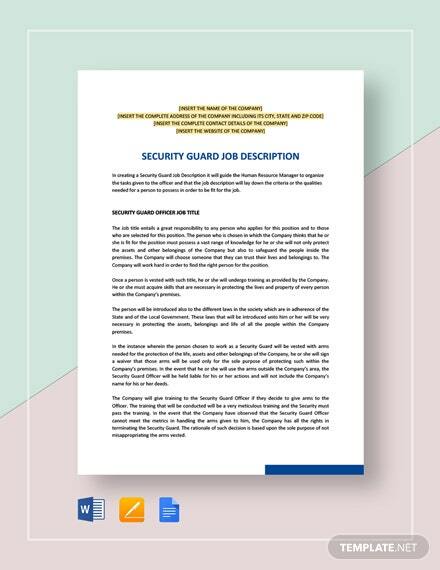 In this section, we bring to you a plethora of templates which range from simple security guard job descriptions to more complicated and technical security contract templates. You just have to know how to use them; once you are sure of your needs, you can download the templates and personalize them. 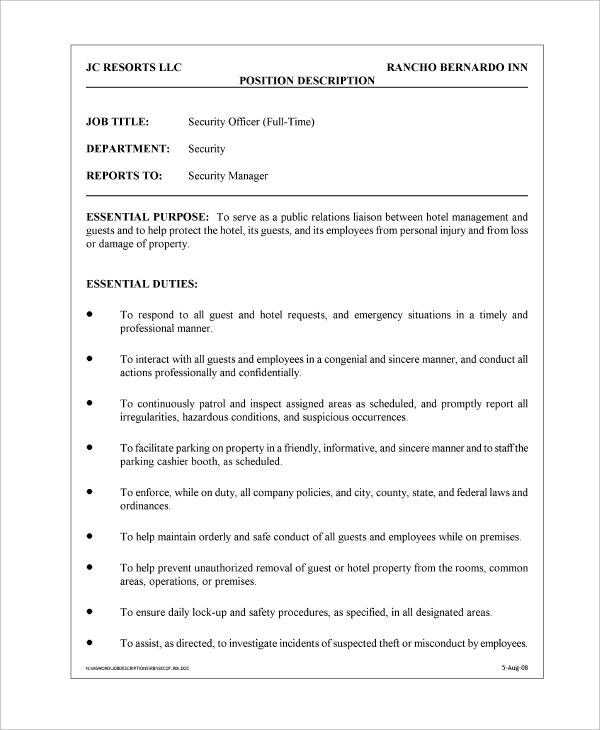 If you have to advertise an opening at a hotel for security staff, you can easily do so with the help of this hotel security guard job description template. The templates here are extremely easy to use. This way, you get to bypass the hassle that is usually associated with such job descriptions and get your work done in no time. 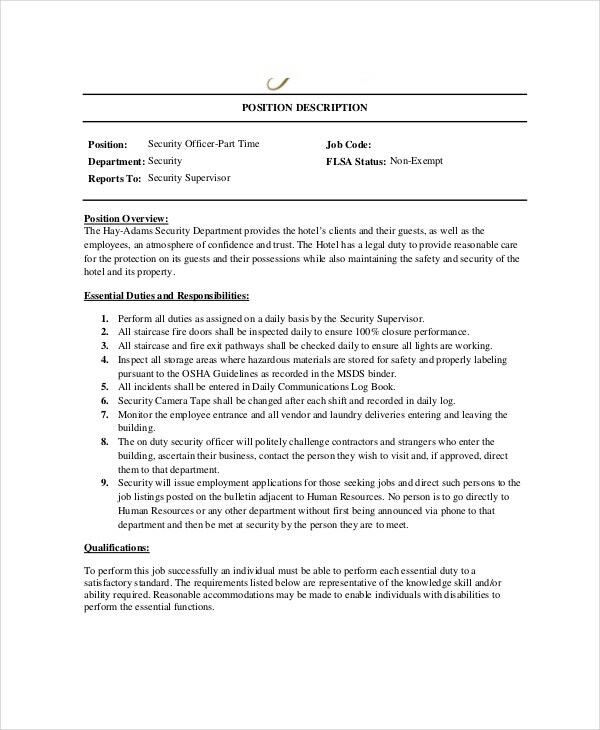 The job description for a security guard has a fixed format. This format is universally accepted everywhere. This format is something you need to abide by when you design your own job description. Thankfully, the templates here already do it for you.